Mr Freeze brings together the work of Amrit Randhawa , Matthew Challenger and Tara Collette. 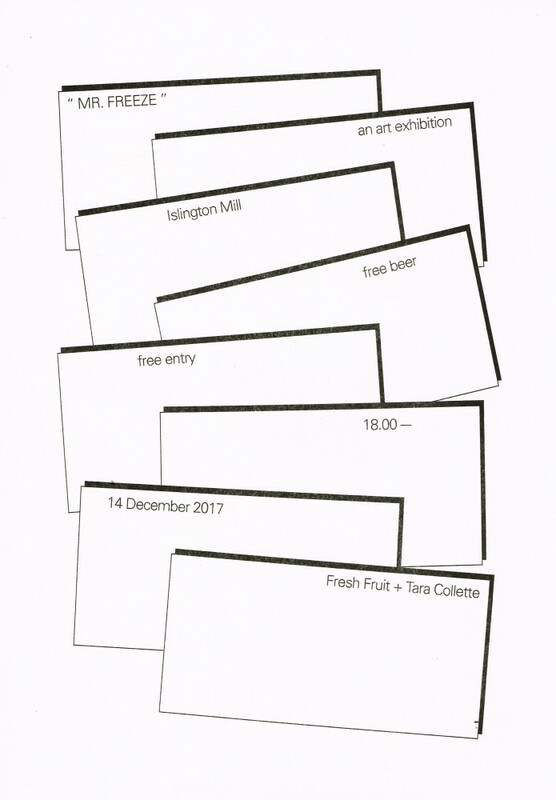 After graduating in Graphic Design from the University of Salford, the artists/designers have moved into studios at Islington Mill + this exhibition focuses on the work that’s been made since their time here. One night only.